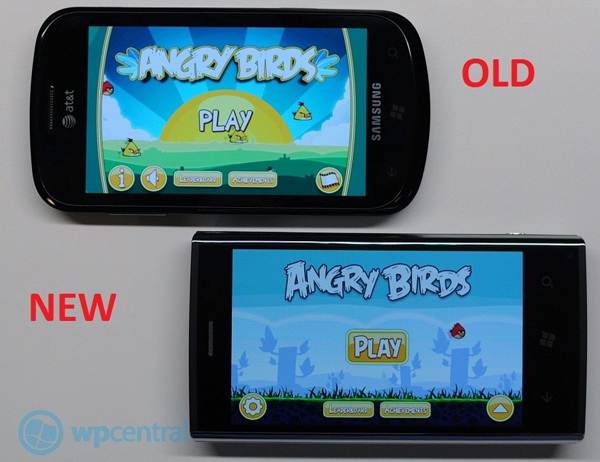 When Rovio released Angry Birds for Windows Phone 7, it was curiously the older version of the application that was available on iOS a long time back. It had the older start screen and fewer levels. But the application has now been updated to v1.1, which takes the number of levels from 135 to 225. Unfortunately, it is still short of the 270 levels available for iOS and Android. Hopefully the additional levels will be added soon. Unfortunately, at $2.99, the game is still inexplicably expensive (as are a lot of Windows Phone 7 apps) compared to the iOS version, which costs $0.99. The Android version, on the other hand, is ad supported and hence is free of cost. I’m not sure of it makes a lot of sense to pay three times as much to get a game with fewer levels. But then, what choice do Windows Phone 7 users have?